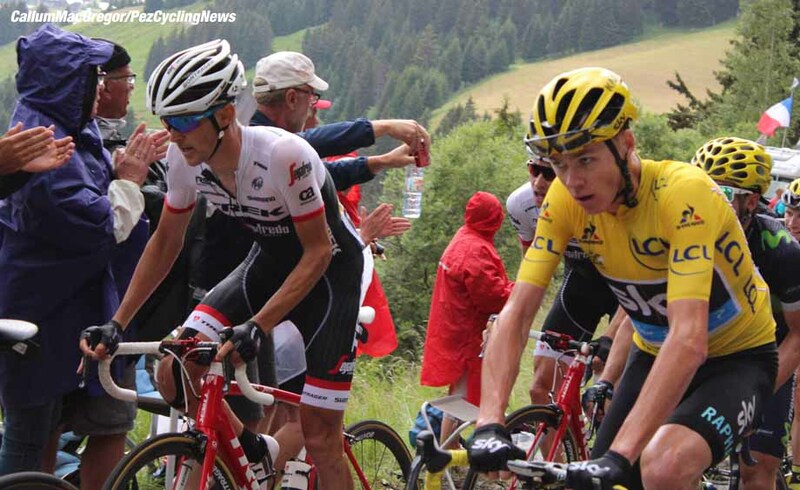 PezCycling News - What's Cool In Road Cycling : TDF’16 Roadside: Bardet’s Day – Don’t Forget McLay! 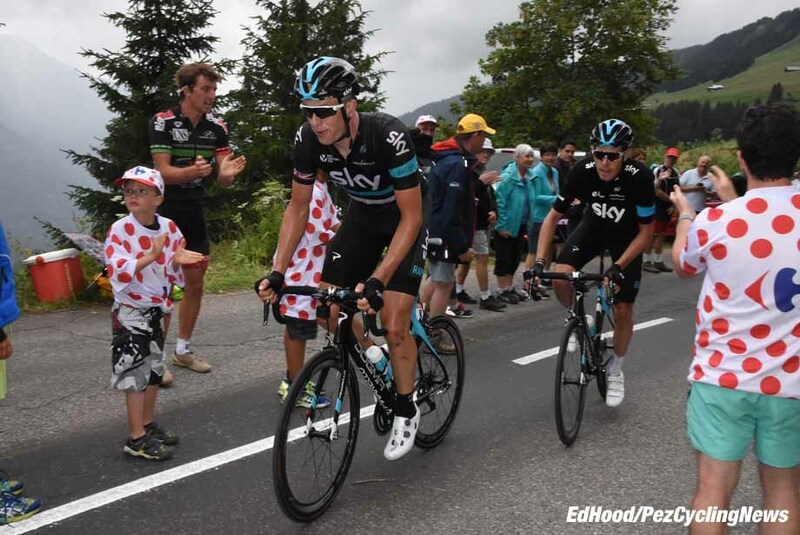 TDF’16 Roadside: Bardet’s Day – Don’t Forget McLay! 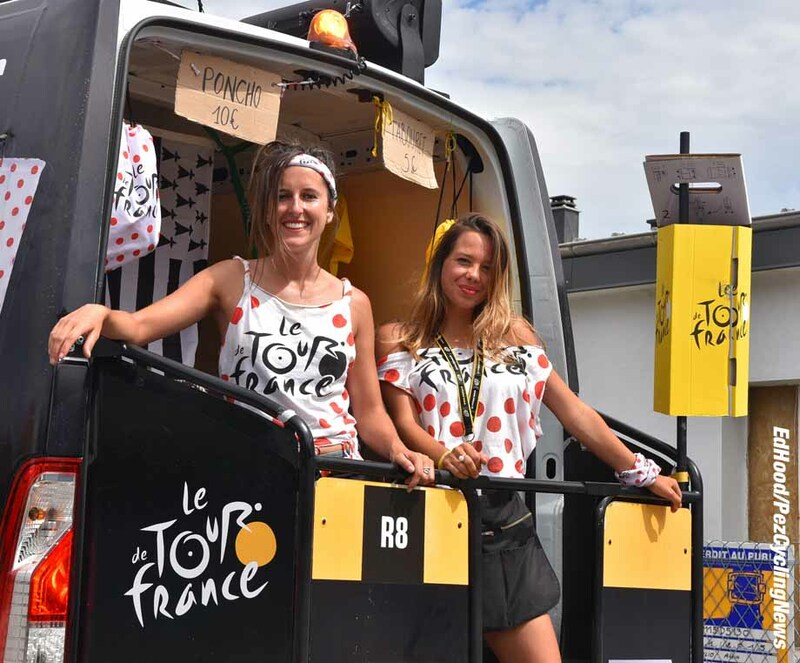 TDF'16 Roadside: Stage 19 saw some real action on the 2016 Tour de France and Ed Hood was there with Callum to 'see and tell' all the crazy happenings that unfolded before their eyes. Bardet was the toast of France as he crossed the line first on Mont Blanc, but don't forget the man at the back, Dan McLay. Vai Dan! The old guy screams, there are many less people on the mountain now than there were 20 minutes ago. They've streamed homeward on foot, on racing bikes and electric mountain bikes - but until the broom wagon passes there are still riders on the road. 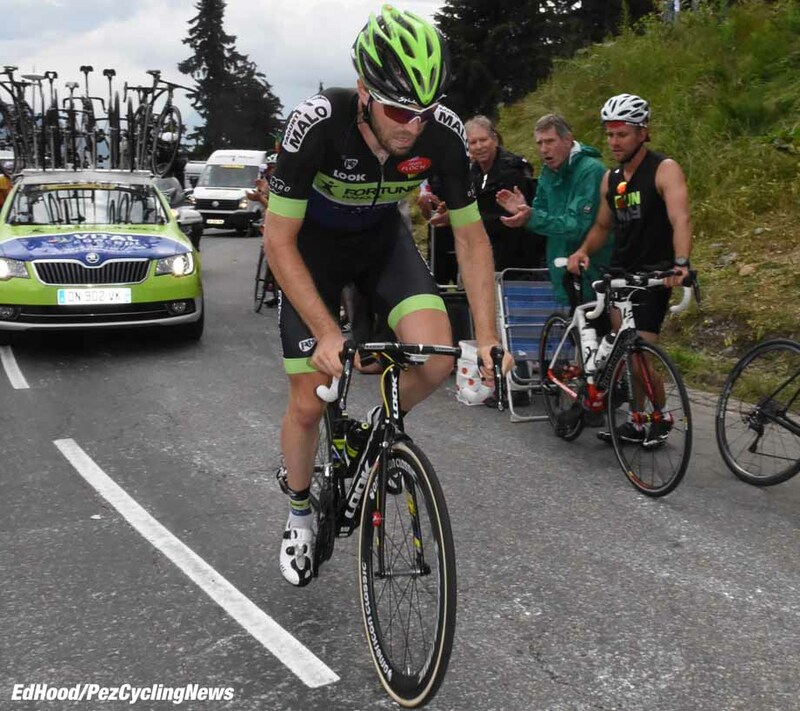 Just one, Fortuneo Vital Concept's big sprinter, Dan McLay; those of the crowd who remain applaud loudly and cheer for him. As well they might, the man has speed, strength - and Grinta. This was a day of drama, favorites felled, French Glory, the pack re-shuffled; McLay's day won't make the headlines - but he battled home alone at 35:39. Our ride of the day. 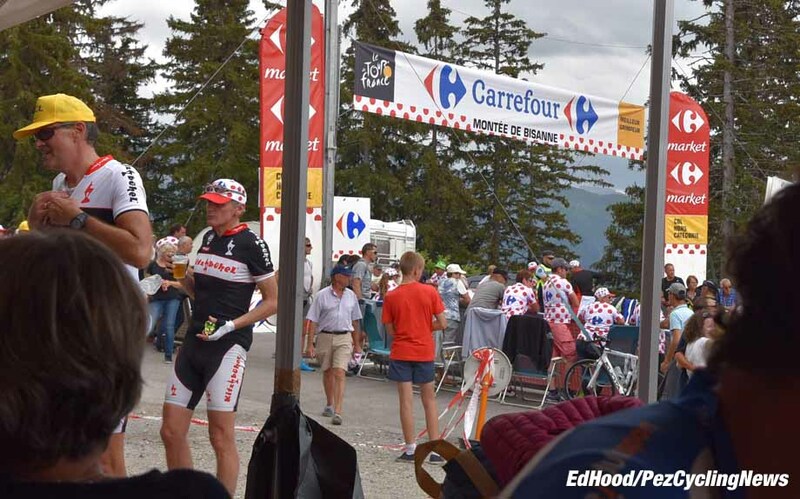 We were at the top of the 12.4 kilometers @ average ‎8.5% HC Montee de Bisanne. The Collet de Tamie is 8.1 kilometers @ 7% but don't look for it in the King of the Mountains classement - it's unclassified and rears straight from kilometer zero out of Albertville. Sometimes I thin‎k there's a masochistic streak in those ASO boys. Anyway, that was last night and this is another day and smiles from the young ladies selling the race merchandise cheered us. But back the Tamie; there'll be casualties on this hill for sure- it's savage. 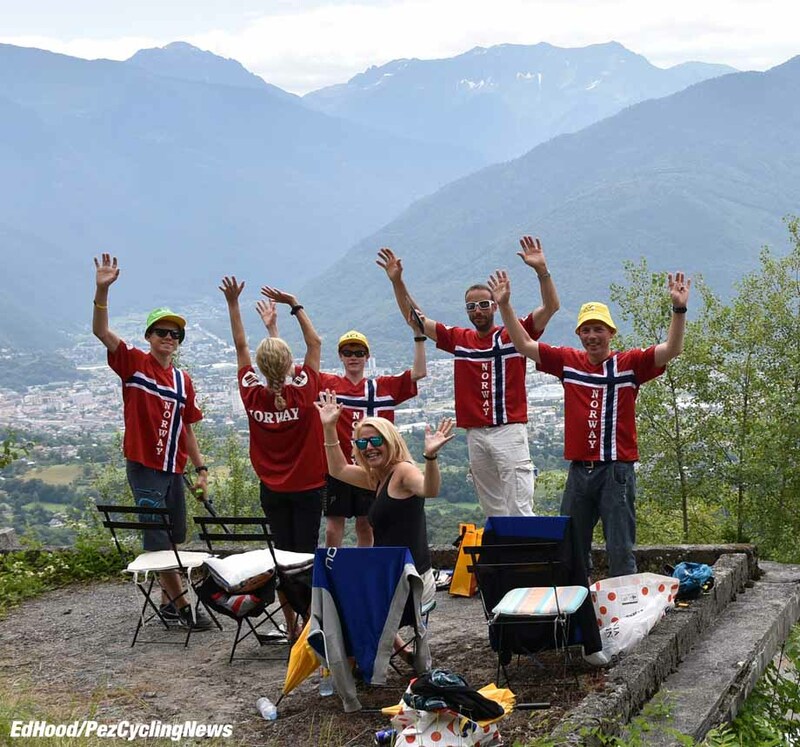 The Norwegian fans seem to like it though. Back in the day, Hinault would have called a truce on this one but there'll be too many wanting to get in the early break on this short but tough stage of just 146K. We're en route the Montee de Bisanne climb, never before used in le Tour, 12.4 K @ 8.2% and categorized HC. The descent off the Tamie is long and pretty technical through the trees to start but opens out, green and fast through alpine meadows. It bottoms out and it's time for a Coke and L'Equipe, it's tabloid size this year, but still essential Tour reading each day. Inside we're told he's in the form of his life and mentally solid. These comments would prove totally accurate some hours later as the Frenchman took the stage and moved to second on GC. 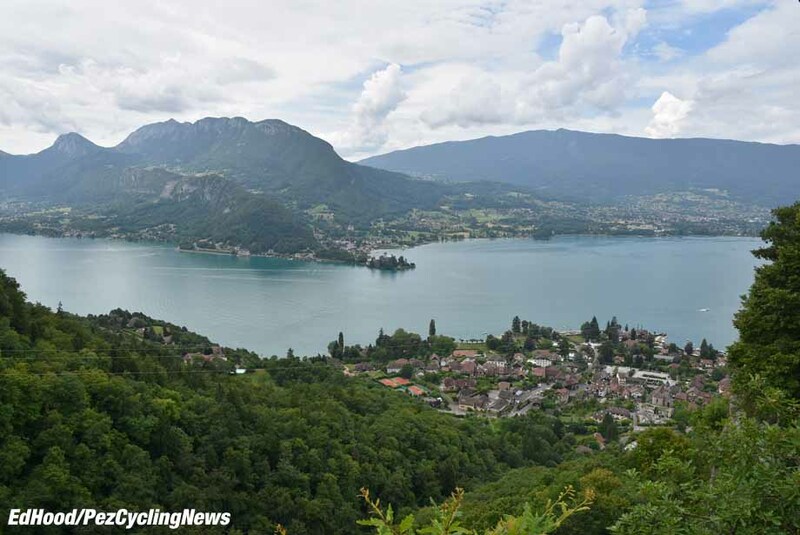 And now we're skirting Lac Annecy, I remember the last time I was here following Tyler Farrar in the time trial ‎on a lovely day. The road is pan flat right beside the Lake for long stretches but that‎ soon gives way to the Col de la Forclaz de Montmin - 9.8 K @ 6.9% and first cat. If you have time to stop, the views back down the lake are stunning. 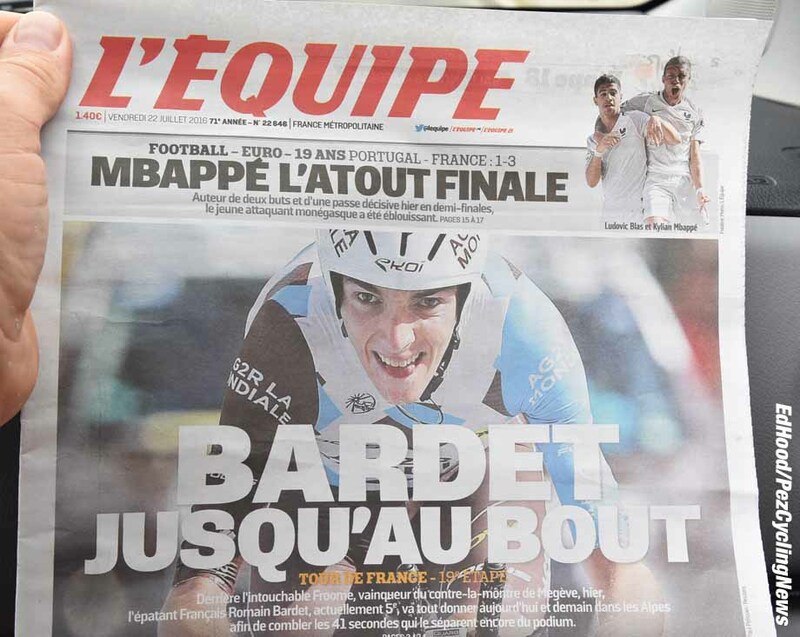 Back to L'Equipe, like us they've accepted that there's only going to be one winner of this Tour but there are six men chasing the other two spots on the podium: Mollema, Yates, Quintana, Bardet, Porte and Aru‎. We say; probably, probably, no, possibly, possibly and no. ‎It's a fast drop off the prime line and after that swine of a climb the field will be well split - the descent gets and more and more technical the further we drop down the winding valley. The valley floor and even the autoroute is shut down pour le Tour - these people have their priorities right. 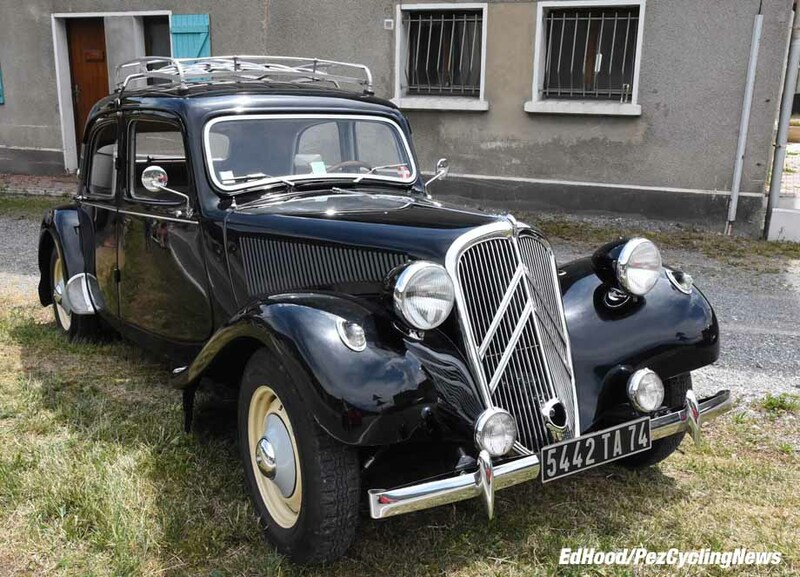 And whilst we're a cycling website, it's hard not love an immaculate 50's Citroen Traction Avant when you see one roadside. The valley floor drops slightly all the way but it's a block headwind - as Callum says; 'you wouldn't want to be just off the back.' 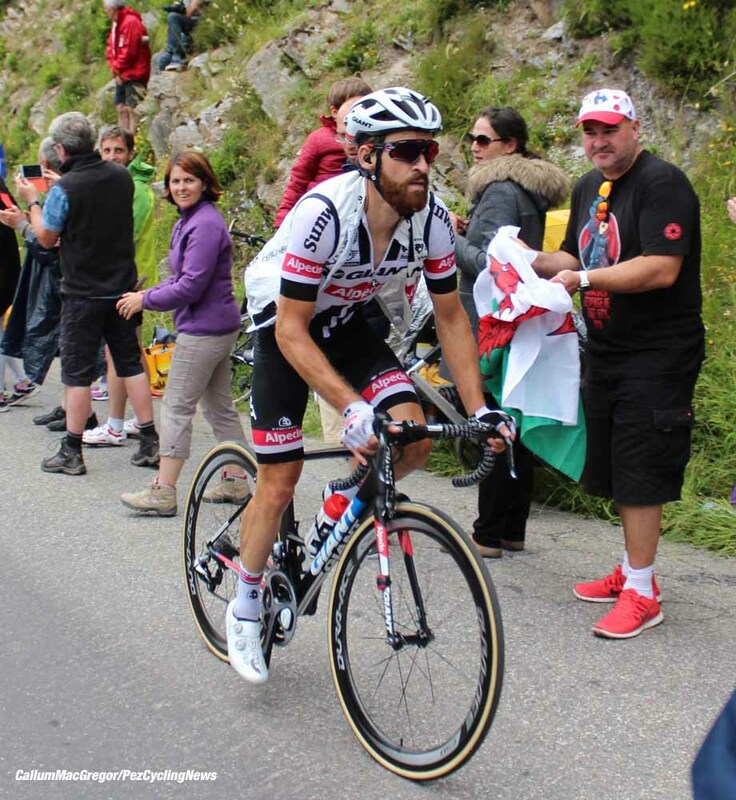 It's kir time where we see about 20 up the road on the TV - Matthews, De Gendt, GVA and Majka are there - then back on the road and into the Col de la Forclaz de Queige - cat 3 with vital stats of 5.6 K @ 7.8% It's a nasty, narrow, all lumps and bumps - a tough, tough climb. The descent is steep but the surface isn't bad and some stretches have actually been re-surfaced. It's very technical at the bottom and getting hotter by the minute. Then it's the valley‎ floor, flat, fast, safe. Not for long, the Bisanne, 12.4K and the Toyota is down to second gear right away. It's not a spectacular climb, no rock formations, history - just a tough grind to the summit. Le sommet; and what's the first thing we see? American Classic wheels - those dudes are everywhere! 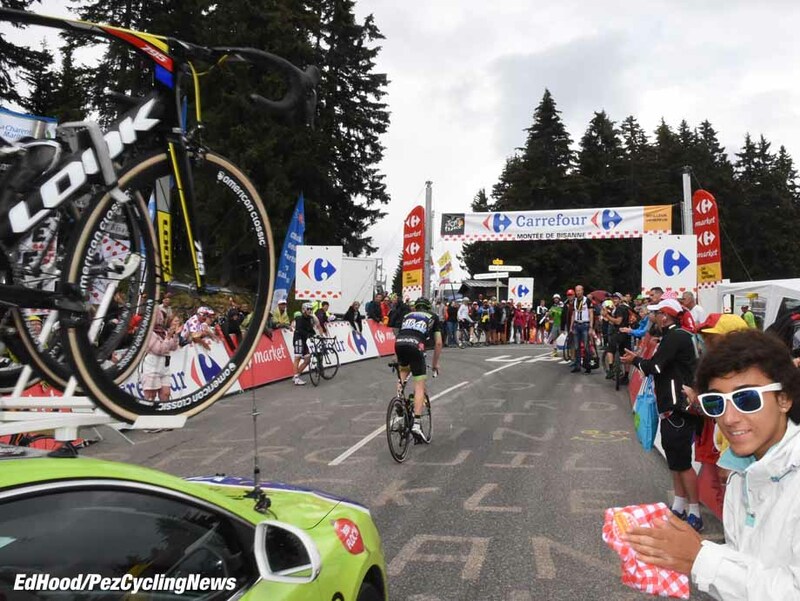 The Tinkoff car stops and a team official jumps out, he goes straight over to a group of fans who have their pitch marked out with bags and travel rugs - and tells them they have to move so he can park the car. They grudgingly oblige but one old dear is giving him a piece of her mind - then word whispers round; ‎ "it's Basso, Ivan Baaso!" Smiles all round, selfies, autographs and happy ever after. 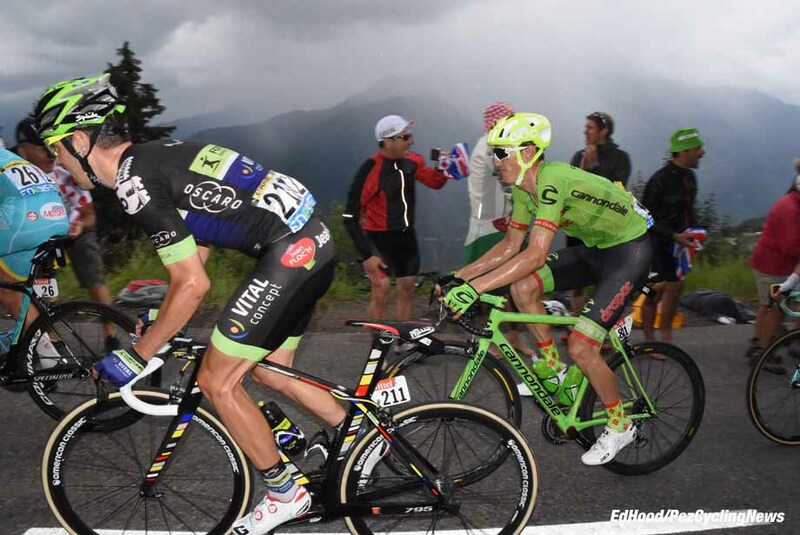 We know there's a break clear - and that man Majka is there, again. 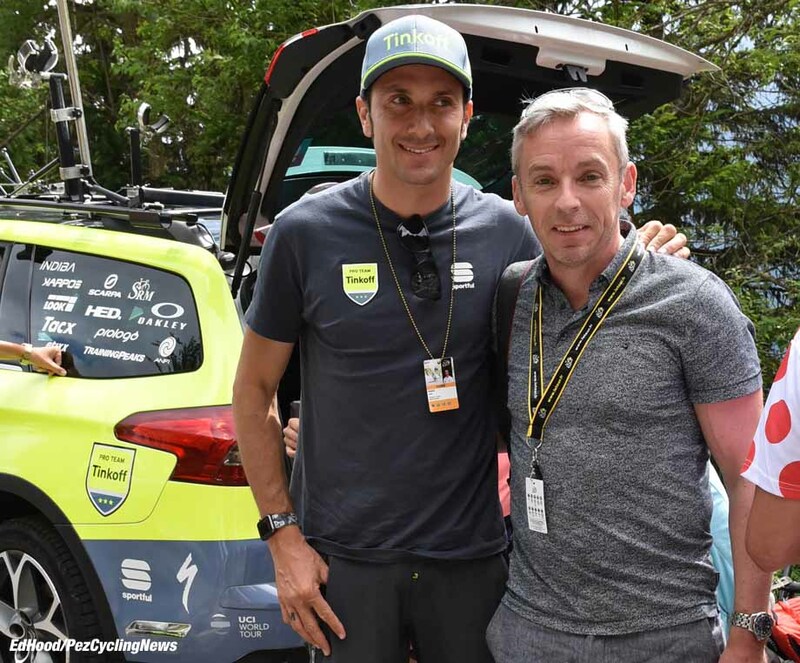 We'd learn later that he took full points at the top - but Rafa, the orange shoes, yellow socks, grey and yellow shorts then polka dot jersey and crash hat? You're looking like an explosion in a paint factory, Dude! His group had been 20 strong originally but really began to splinter on the lower slopes of the Bisanne. There's just today and tomorrow left to get a result for those who aren't sprinters and team management will be turning the screw. 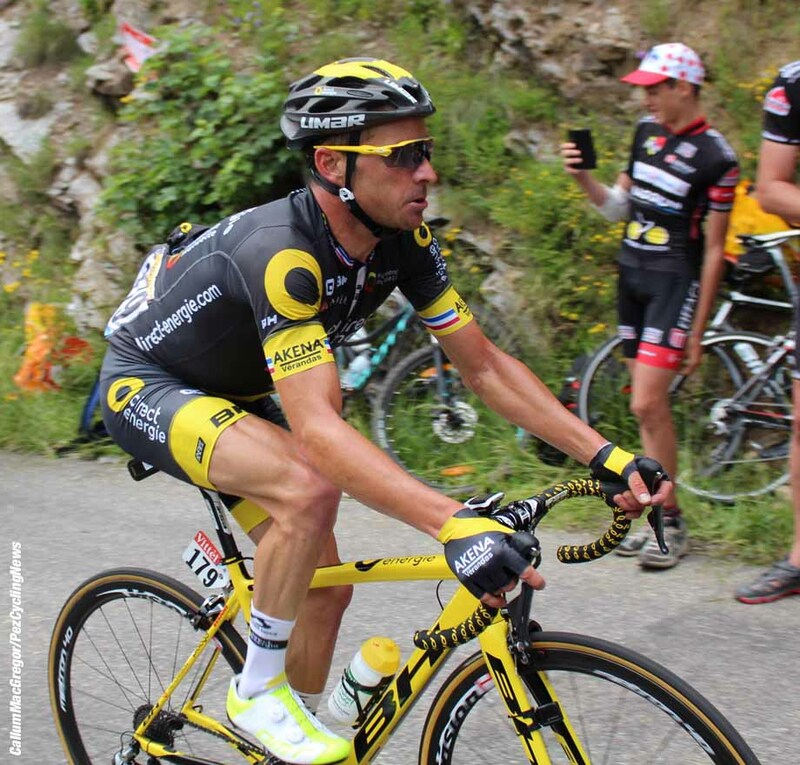 Rolland was looking comfortable but would crash later - not a good Tour for Pierre. 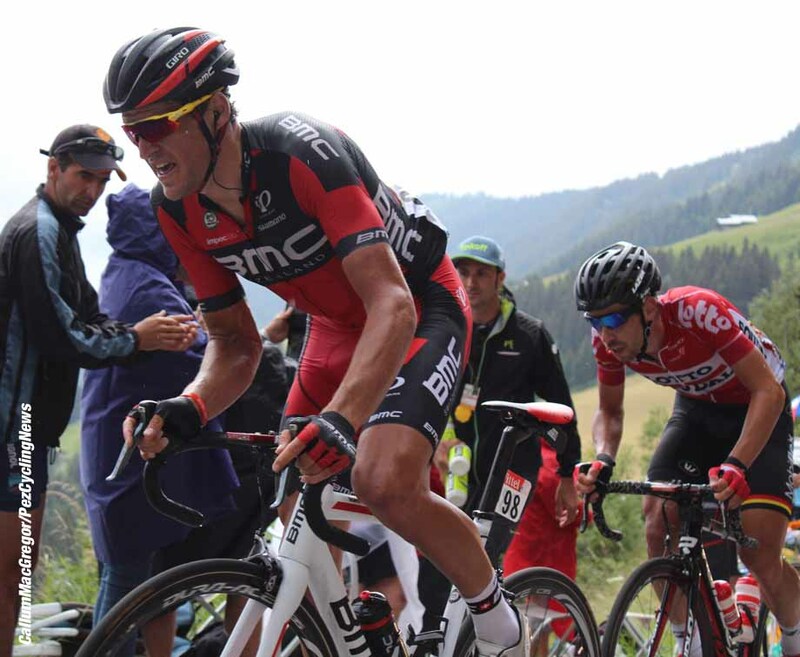 Van Avermaet wasn't so far off the leaders' group - the man always manages to look so good on a velo. 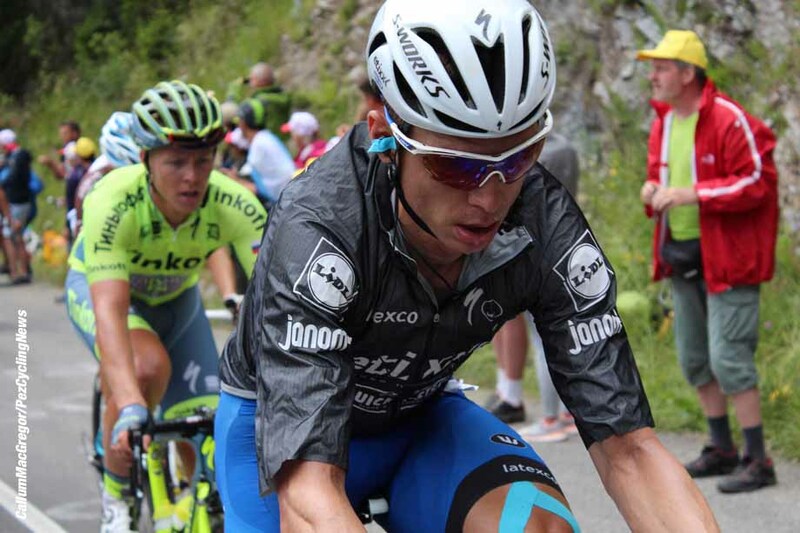 Tony Martin didn't look so cool, he's no mountain climber - but it's all good prep for Rio. 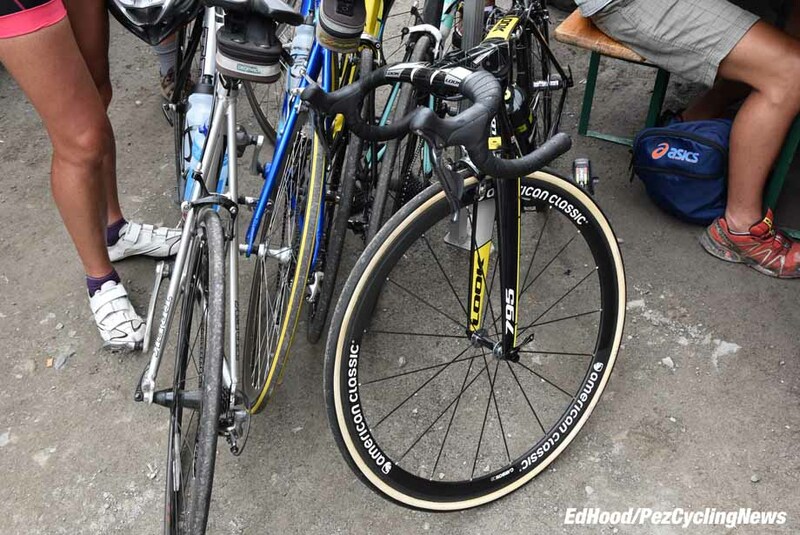 His big rival for that one, Tom Dumoulin crashed out, today. The Sky boys were roundly boo-ed as they struggled homeward, job done for Christopher. Whilst Geschke was already thinking about tomorrow and his next trip to the barbers. 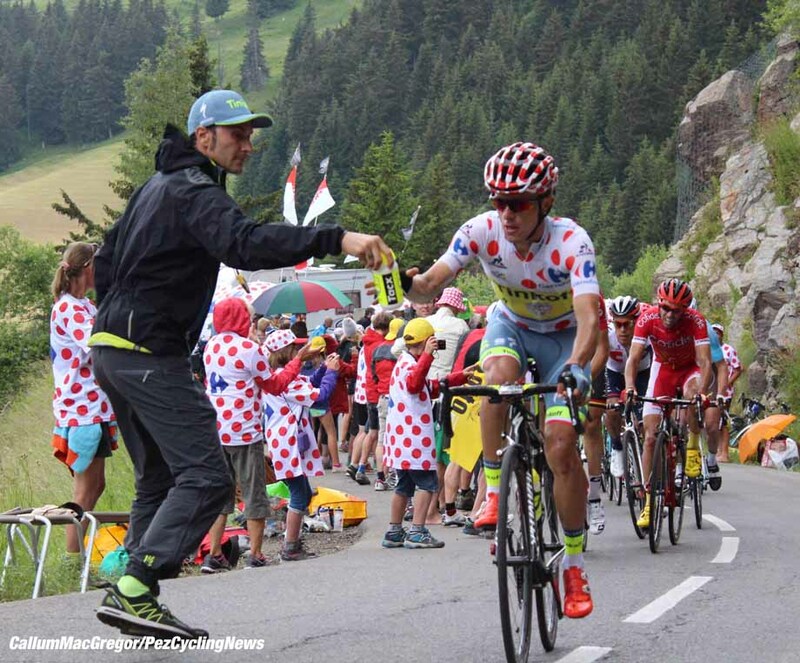 Sagan was in the gruppo, with Eisel helpfully pushing the photogs out of the way - glad I kept to the other side. 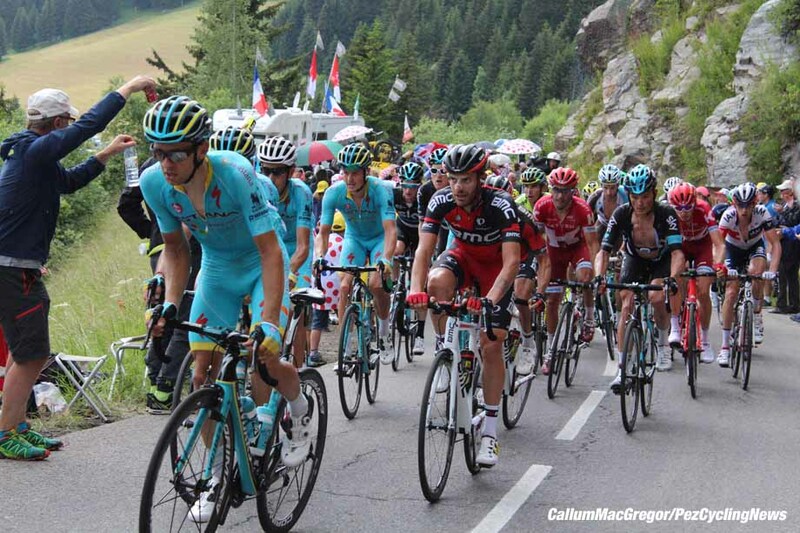 ‎And then there was just Dan... We had no idea of the drama which would unfold on the last climb, few people did. It was November 2005 when Ed Hood first penned a piece for PEZ, on US legend Mike Neel. Since then he's covered all of the Grand Tours and Monuments for PEZ and has an article count in excess of 1,200 in the archive. He was a Scottish champion cyclist himself - many years and kilograms ago - and still owns a Klein Attitude, Dura Ace carbon Giant and a Fixie. He and fellow Scot and PEZ contributor Martin Williamson run the Scottish site www.veloveritas.co.uk where more of his musings on our sport can be found.